I purchased this book simply because it was super cheap. It has been on my bookshelf for over a year but since its rainy and October I figured I’d give it a chance. I am 105 paged in and I am enjoying it!!!! Don’t you love it when a random book turns out to be just your cup of tea? A review will be up when I finish. Happy Reading Y’all!!!!!! I love this book so much! Will you read the rest of the series? Yes I will I am hooked and mad at myself for taking so long to pick it up! I was exactly like you! I was so mad at myself saying “why haven’t you read this book!” It’s awesome, I love it so much. That’s the best feeling! This book is on my TBR list and has been for a while. Why haven’t I heard of this book before? 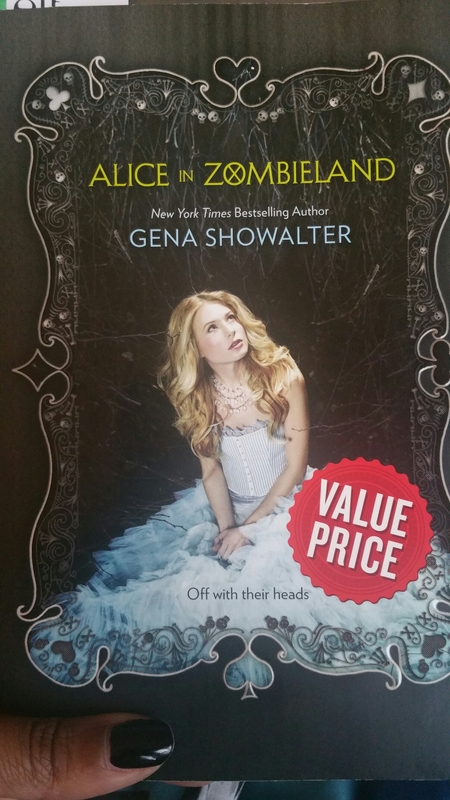 I absolutely love zombies and Alice in wonderland. I’ve gotta check it out!